Hi and welcome to the first entry in my 12 Days of Handmade Gifts for Quilters! I thought I'd start off this series with a classic handmade gift--a fabric pillowcase with a narrow trim. I love giving pillowcases because they are quick to make and very easy to personalize! If you have children, grandchildren, or great-grandchildren on your shopping list, believe me--this is just the thing! I made a few for my daughter who's a Freshman in college, and she just loves them. I think they remind her of home. This is a three part pillowcase, with a Body, Cuff, and Trim piece. Got your fabric all cut and pressed? Good. Let's go! You don't need to trim your pillowcase by the way, I love how that little bit of contrasting fabric really makes a handmade pillowcase extra special. Match the raw edges, and pin. Be sure to pin again through all three layers. Now here comes the burrito part. In this step, you’ll roll the Body up inside the Cuff fabric, just like the filling is rolled up inside a burrito. Starting at the bottom, begin rolling the Body fabric up towards the pinned edge. Keep rolling until the Body fabric roll is about 3” from the pinned edge. Don't repin anything just yet. Pick up the bottom edge of the Cuff fabric, and bring it up over the Body fabric roll, wrapping the Body fabric up like a burrito. Pin through all those layers. Sew the pinned edge with 1/4” seam allowance. 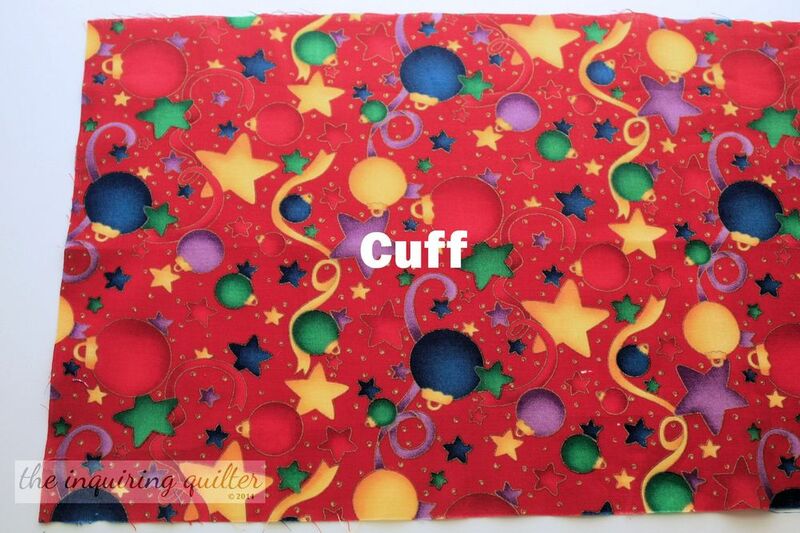 You can also sew using 3/8” seam allowance, but as a quilter, I’m used to 1/4” seams, so I use that. Unwrap the burrito, folding back the Cuff just a bit so you can pull out the pillowcase Body. I always press on both sides to make sure it lies flat. It may seem weird to put the wrong sides together in preparation for sewing a seam, but what you’re doing here is creating an enclosed seam called a French seam. So you gotta start with wrong sides together. Trust me. Pin along the side and bottom edges of the pillowcase. 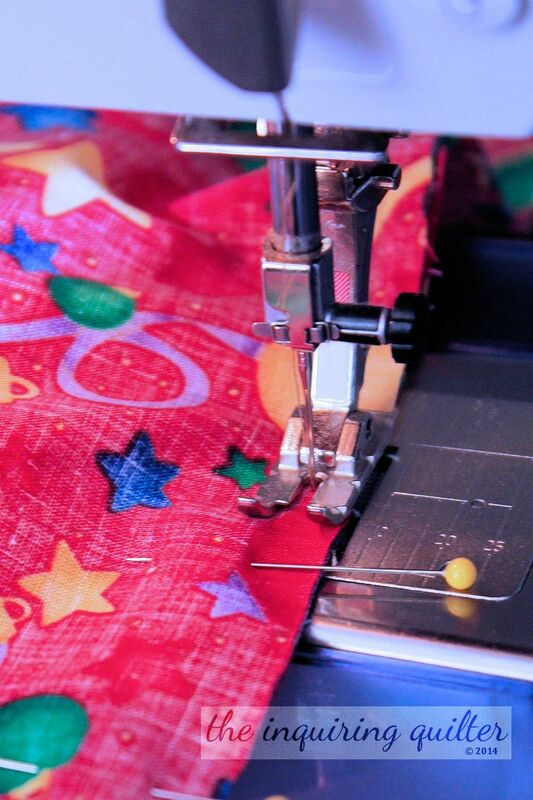 As you pin, be sure to match up the Cuff and Trim fabrics at the seam. I use a wooden chopstick to poke the corners out carefully. You can use a knitting needle if you have one instead. Sew the side and bottom seams again, this time using 1/2” seam allowance. The first seam with its raw edges is now inside this new seam, which means that the raw edges are not exposed. This is a French seam. Poke out the corners again and press the seams flat.